Sooo…you’ve got that one hard to buy for person on your list this year. The person that does crafts as a hobby and they want craft supplies. Where do you even start? You don’t know what kind of widgets and gadgets they already have. And a gift certificate is so impersonal. 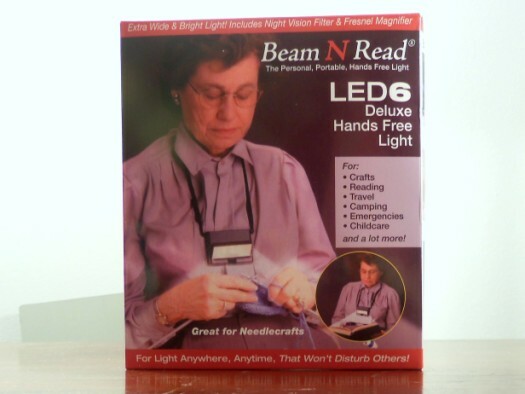 How about a Beam N Read? What’s a Beam N Read? It’s a personal lighting system that you wear around your neck. It’s designed for those that like to read, do crafts, or have other small detailed hobby work. Needlework and fly-tying are perfect uses for the Beam N Read. I’ve always done a ton of small, detailed handiwork in my crafting projects. It’s usually beading, but I also do some hand sewing and decorative stitching like embroidery and cross-stitch. In my old house, I had a great studio setup with a ton of natural light. In my house now, I have neither a dedicated studio nor great lighting. Why no? Well, I thought they’d be heavy and cumbersome. I couldn’t imagine trying to get my project done with this 10 lb contraption swinging around my neck. And what about focusing the light? How much extra light would this really provide? Gotta admit – my thoughts were wrong. I was really surprised – nay, shocked! – at how much light this provided. 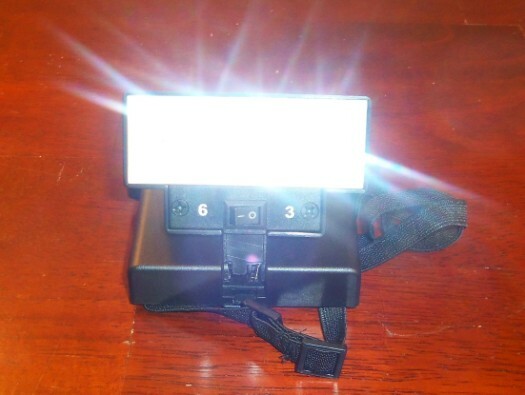 There are 6 small LED lights that are the source of the light. You can choose to have it dim (3 bulbs) or bright (all 6 bulbs). I’ve gotta say – the dim is still really bright. The bright was almost too bright for me, but I have really sensitive eyes. I was also surprised at how little the Beam N Read moved. It sort of set against my sternum and just settled in. It was pretty lightweight, too. 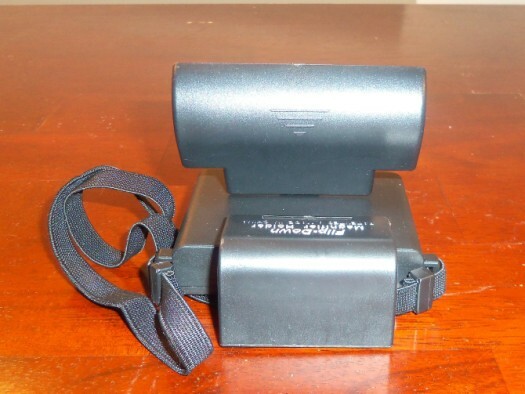 It has a lowlight filter, so it’s not so bright, a night vision filter, and also a magnifier to help with small projects. Beam N Read also has a bunch of usage suggestions for their item. I think this would make a great gift for the crafter, hobbyist, or reader in your life. You can connect with Beam N Read on Facebook or Pinterest, too.